Vitamin E is a generic term that refers to the antioxidant families of tocopherols and tocotrienols. These compounds play a vital role in preventing blood clots and blockages in the arteries. Vitamin E also has a complex function in the healing of wounds, which has led to its promotion as a remedy for scarring. Vitamin E is used by the body to prevent the oxidation of free radicals around a wound. Vitamin E also controls the production of collagen, a main component of skin and connective tissue, which allows the wound to heal properly. Vitamin E is fat-soluble and can easily be prepared for topical application with a moisturizer, making it a common ingredient in anti-aging skin creams. Vitamin E has been touted as having the ability to prevent and reverse scarring. There is no research, outside of anecdotal reports, to demonstrate that the topical application of vitamin E to wounds allows them to heal without scarring. A study published in "Dermatologic Surgery" in 1999 examined claims that vitamin E can improve the appearance of scars after surgery. The researchers concluded that in 90 percent of study participants "topical vitamin E either had no effect on, or actually worsened, the cosmetic appearance of scars." In her 2008 article "Alternative Treatment for Scars," Dr. Sarah L. Taylor states, "Although many patients believe vitamin E speeds wound healing and improves the look of a scar, current evidence from the literature does not support this idea. 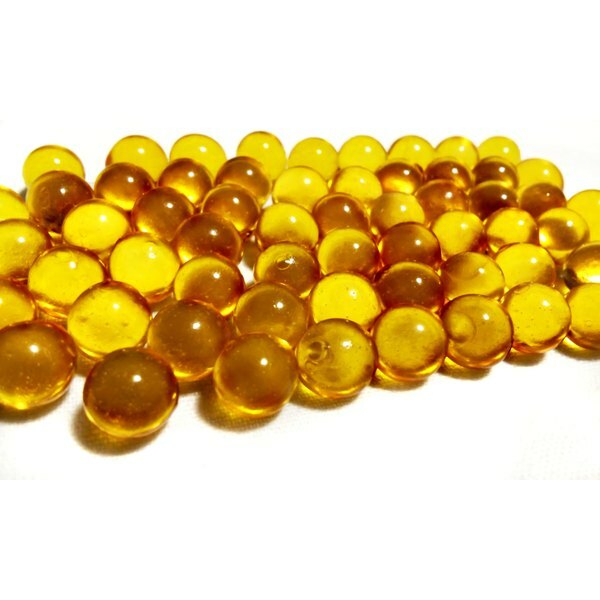 In fact, studies report adverse effects with use of vitamin E."
Topical applications of vitamin E have been shown to cause contact dermatitis, a localized inflammation of the skin, in some patients. In addition, the use of vitamin E in an attempt to prevent or lessen scar tissue may actually lead to widened scars, as vitamin E has the ability to inhibit collagen synthesis, reducing a scar's tensile strength, warns a 2006 article published in the "Journal of the American Academy of Dermatology." Dr. Taylor recommends silicone gel for the treatment of scars. She says silicone "has the most data behind it as an efficacious topical, over-the-counter treatment option for scars." She adds that rubbing honey onto healing wounds and scars may also "possibly" benefit scar tissue. Skin & Aging; Alternative Treatment for Scars; Sarah L. Taylor, M.D., M.P.H.